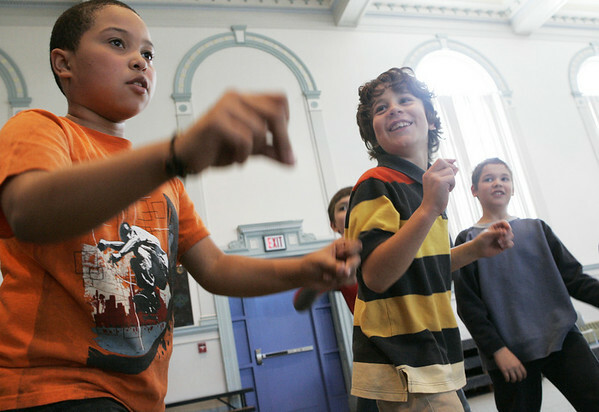 Salem: From left, Saltonstall School students Angel del jesus Capellan, Isaac Vural and Troy Welling warm up during dance class taught by Carl Thomsen as part of the special legends program at the school. The students were learning a dance to a song about the midnight ride of Paul Revere. Photo by Deborah Parker/Salem News Wednesday, January 14, 2009.